Communication duality, expressed as the server view and the agent view of the verified system, is the sound effect of the author’s work. In the specification, it is simply grouping of actions in servers or in agents. Behrmann, G., David, A., & Larsen, K. G. (2006). A tutorial on Uppaal 4.0. Aalborg, Denmark. URL: http://www.it.uu.se/research/group/darts/papers/texts/new-tutorial.pdf. Daszczuk, W. B., Bielecki, M., & Michalski, J. (2017). Rybu: Imperative-style preprocessor for verification of distributed systems in the Dedan environment. In KKIO’17—Software Engineering Conference, Rzeszów, Poland, 14–16 September, 2017. Polish Information Processing Society. arXiv:1710.02722. Godefroid P, and Wolper P. (1992). Using partial orders for the efficient verification of deadlock freedom and safety properties. In 3rd International Workshop, CAV’91, Aalborg, Denmark, LNCS 575 (pp. 332–342), 1–4 July, 1991. Berlin, Heidelberg: Springer. https://doi.org/10.1007/3-540-55179-4_32. Holzmann, G. J. (1995). Tutorial: Proving properties of concurrent systems with SPIN. In 6th International Conference on Concurrency Theory, CONCUR’95, Philadelphia, PA (pp. 453–455), 21–24 August, 1995. Berlin, Heidelberg: Springer. https://doi.org/10.1007/3-540-60218-6_34. Krystosik, A. (2006). 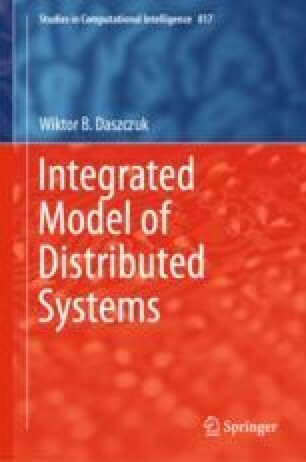 Embedded systems modeling language. In 2006 International Conference on Dependability of Computer Systems,, DepCos-RELCOMEX’06, Szklarska Poręba, Poland (pp. 27–34), 25–27 May, 2006 . Berlin Heidelberg: Springer. https://doi.org/10.1109/depcos-relcomex.2006.21. Krystosik, A., & Turlej, D. (2006). EMLAN: A language for model checking of embedded systems software. In IFAC Workshop on Programmable Devices and Embedded Systems, Brno, Czech Republic (pp. 126–131), 14–16 February, 2006. Elsevier Science. https://doi.org/10.1016/S1474-6670(17)30171-4. Kwiatkowska, M., Norman, G., & Parker, D. (2011). PRISM 4.0: Verification of probabilistic real-time systems. In 23rd International Conference, CAV 2011, Snowbird, UT (pp. 585–591), 14–20 July, 2011. Berlin, Heidelberg: Springer. https://doi.org/10.1007/978-3-642-22110-1_47. Lee, G. M., Crespi, N., Choi, J. K., Boussard, M. (2013). Internet of things. In Evolution of telecommunication services. LNCS 7768 (pp. 257–282). Berlin, Heidelberg: Springer. https://doi.org/10.1007/978-3-642-41569-2_13.